The latest and upcoming X79 Deluxe motherboard from ASUS has been unveiled, featuring improved components and support for the upcoming Ivy Bridge-E processors. 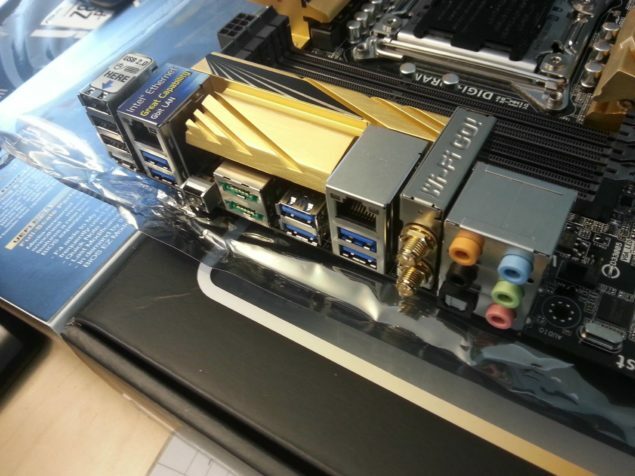 2011 socketed motherboards that released with Sandy Bridge-E processors, users are still required to update their BIOS to add support. the new color theme marking as an end to their Blue and Black design. connector along with the 24-Pin ATX power connector.